Part of the reason the Cowboys drafted Leighton Vander Esch 19th overall was to hedge their bet at the linebacker spot. Sean Lee is fantastic, but his injury history speaks for itself. Jaylon Smith certainly has potential, but to ignore his past would be irresponsible. LVE should provide some stability and insurance. Unfortunately for Wednesday’s OTA, per ESPN’s Todd Archer, Vander Esch was absent due to a sprained ankle. There’s no need to panic by any means, Dallas being cautious is a good thing. 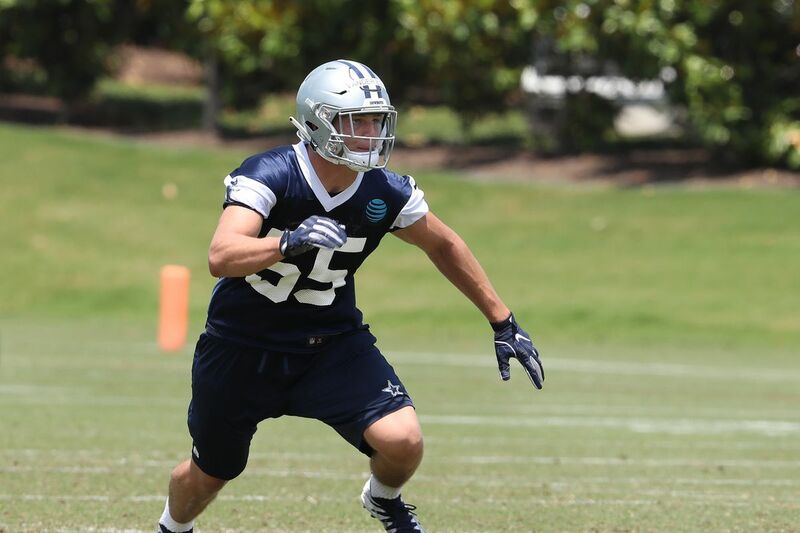 Cowboys’ rookie linebacker Leighton Vander Esch did not take part in Wednesday’s OTA because of a sprained ankle. It’s not anything serious but there was no need to make it worse through an OTA.